George finds a very unusual egg in the chicken coop and takes it home to his room to hatch. He reads it egg stories until one night it hatches. George is surprised to see a dragon in his room, but he knows right away that it is his duty to take care of it. George teaches the dragon to fly, breath fire, rescue a damsel in distress, and how to defeat a knight. George reads to his dragon every night from a book about dragon tales. Then one night, the dragon cries for his own kind and flies away. George is sad to see his dragon leave, but many days later the dragon returns and takes George on wonderful nighttime adventures. 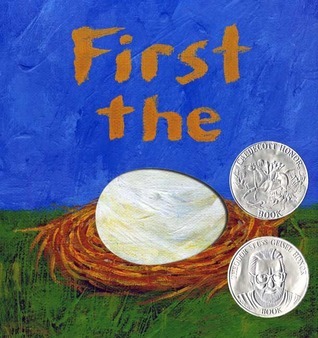 This Caldecott Honor Book attempts to answer the question, ‘which came first the chicken or the egg?’. In a unique way, using cut outs and pictures, readers turn the pages to see that from the egg came the chicken, from the tadpole came the frog, from the seed came the flower, and so on. Then in circular fashion, the reader sees that from the chicken comes the egg. Duck is so excited to have found an egg. He thought it was the most beautiful egg in the world, but none of the other birds thought so. They all laughed. Then one by one each of the other birds’ eggs hatched… a robin, a chick, an owlet, a parrot, and an ostrich. But duck’s egg did not hatch. But duck waited, and waited, and waited… until finally, a crocodile hatched! SNAP! The baby crocodile scared all the birds away. He followed Duck. 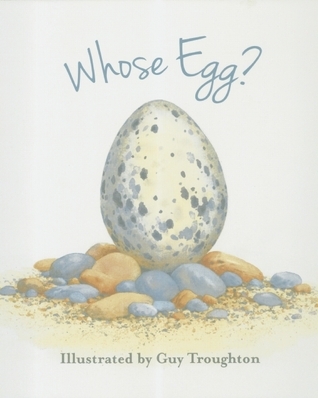 Beautifully illustrated lift-the-flap picture book asks and answers the question ‘whose egg’. 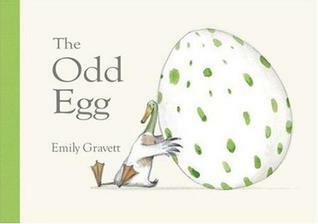 The rhyming text gives a description of the egg and a clue as to what animal might be inside. Each egg picture ‘cracks’ and opens up into another spread showing the answer in picture and line.